Kicking and Screening will hold their 5th annual Festival in New York City! 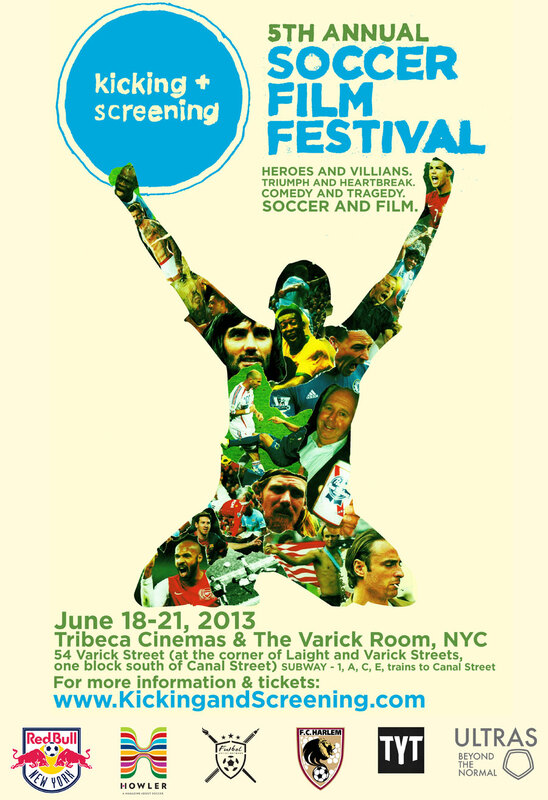 Kicking and Screening will hold their 5th annual film festival in New York this year June 18th. Coaches Across Continents won the Kicking and Screening – Social Initiative Award last year during the festival, and this year K+S are donating all proceeds to FC Harlem based in New York. Kicking and Screening Film Festival is an annual series of cultural events that bring people who love soccer and film together to celebrate the beautiful game. Connecting soccer fans from all over the world Kicking and Screening provides a forum for filmmakers, artists, and writers to expose their work. K+S have held festivals all over the world from the United States, Holland, England, and India. There are four action-packed, inspiring films being shown this year in New York, varying vastly from one another. The first film observes five rebels of football during the time business seemed to be corrupting the relationship with soccer. Following that film will be the untold story of Poland’s 3rd place finish in the 1982 World Cup. The third film being shown “3 milliones” shadows a Uruguayan musician, his son and their journey to the 2010 World Cup in South Africa with the Uruguayan national team. The final film being showcased follows Tim Cahill, and his career to the World Cup on the Australian national team. For more information on Kicking and Screening please check out their website, here.